A viral post claims that after losing Madhya Pradesh, Chouhan is being mistreated by the central leadership. 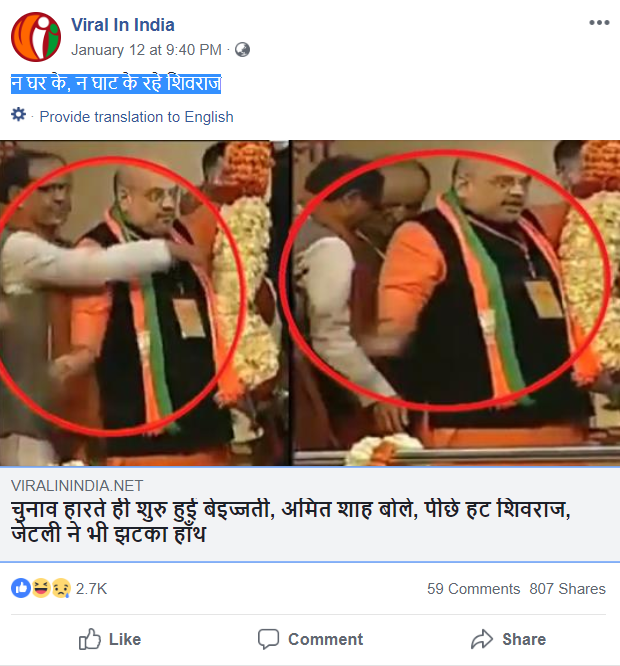 A Facebook post claiming Bharatiya Janta Party national president Amit Shah stopped former Madhya Pradesh Chief Minister Shivraj Singh Chouhan from garlanding Prime Minister Narendra Modi, is false and misleading. With the image going viral on the Internet, narratives are now being floated that Chouhan, after losing Madhya Pradesh, is being mistreated by the central leadership. Another Facebook post is an image of what appears to be a newspaper report published in an evening daily called ‘Good Evening’. The archived versions of the posts can be accessed here and here. 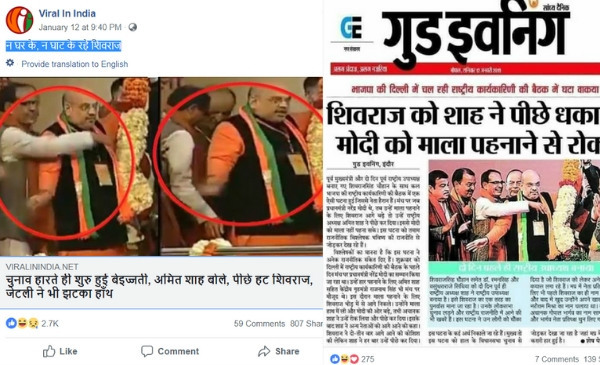 The image, as mentioned in the newspaper report Good Evening, is from the dais of the BJP National Convention held on January 11 and 12, 2019. 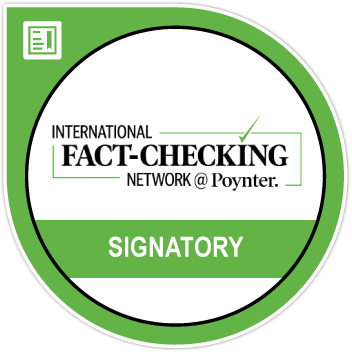 BOOM checked the videos from the event and found the claim to be false and misleading. 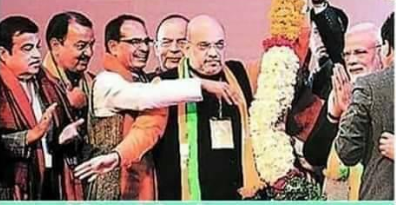 One can clearly see in the video that when the prime minister is being garlanded by party men including Amit Shah, Arun Jaitely, and Nitin Gadkari among others, Shivraj Singh Chouhan comes from behind and tries to hold the garland. Precisely at this moment Shah signals to someone standing in front of the PM to move aside. What appears in the image as Shah gesturing Chouhan to stay behind is actually him signalling to another person to move to the other side. Claim Review : Amit Shah stopped Shivraj Singh Chouhan from garlanding PM Modi.